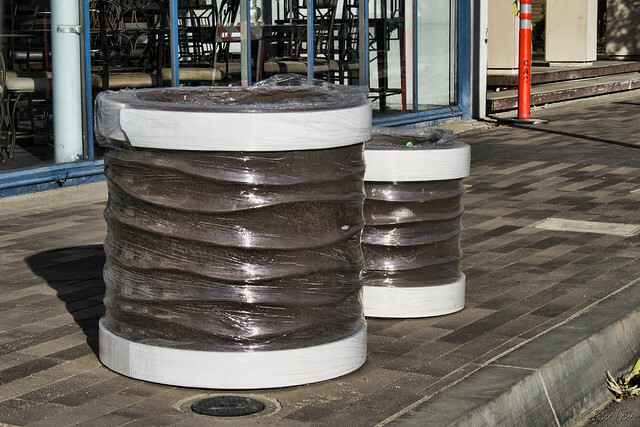 These pots, still plastic-wrapped, give you a clue of more to come for the Firestone Boulevard improvement project. Some of these pots have been unwrapped since I was by there this weekend. I'll show you more on Friday.